Do you eat junk food? Do you watch the news 24 hours a day? Do you look in the mirror every morning and insult yourself? Is your exercise regime walking to the garage, to get to your car, so you can go to work? Well, it’s time to for a change. It’s time to treat your body like a temple. How can you love yourself when you feed it constant junk food, junk news and junk thoughts! Eat healthy fruits and vegetables. Turn off the TV and read inspirational words. Move, walk and stretch as often as possible. Compliment yourself in the mirror often. Remember, God doesn’t make junk. When you insult yourself you are insulting God’s handiwork. To find a temple in your heart, treat yourself with love and respect. So, when you go into that temple, you will be aligned. Rumi was right. 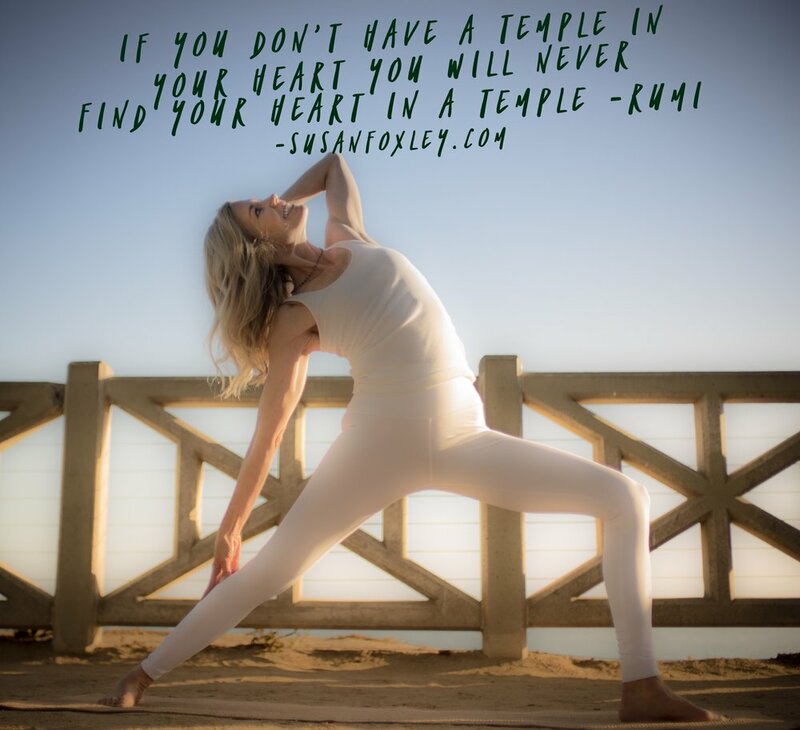 You cannot find your heart in a temple if you can’t find a temple in your heart. Begin today to refrain from junk food, junk thoughts, junk gossip and junk media. You are a sacred being. Let’s all strive together towards that.